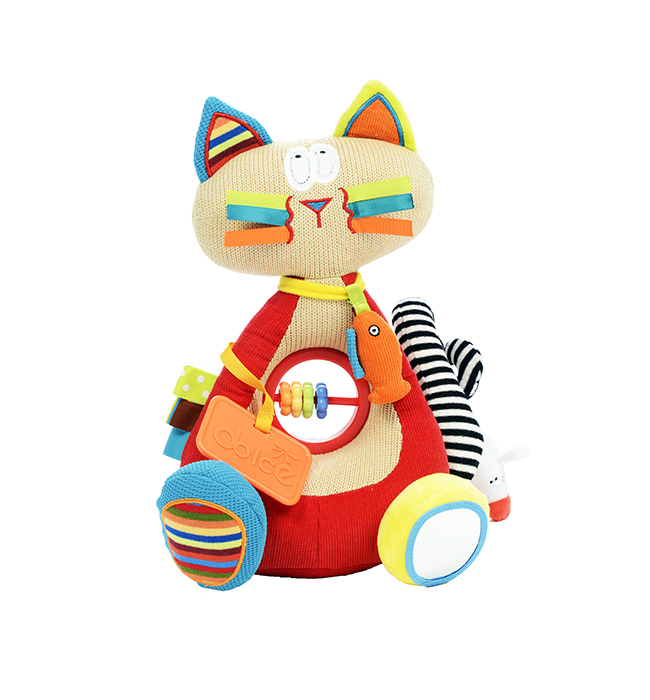 This beautiful fun toy comes with a squeaky mouse friend and a crinkle fish to provide hours of entertainment. There are colorful counting beads in the stomach and a mirror on the foot. The soft knitted fabric and bean bag interior makes it perfect for cuddles. 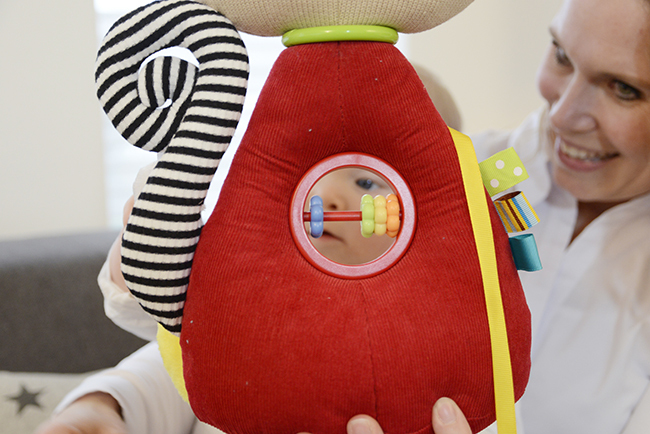 • Sounds: Children will delight in creating sounds through using the squeakers, crinkle and beads. 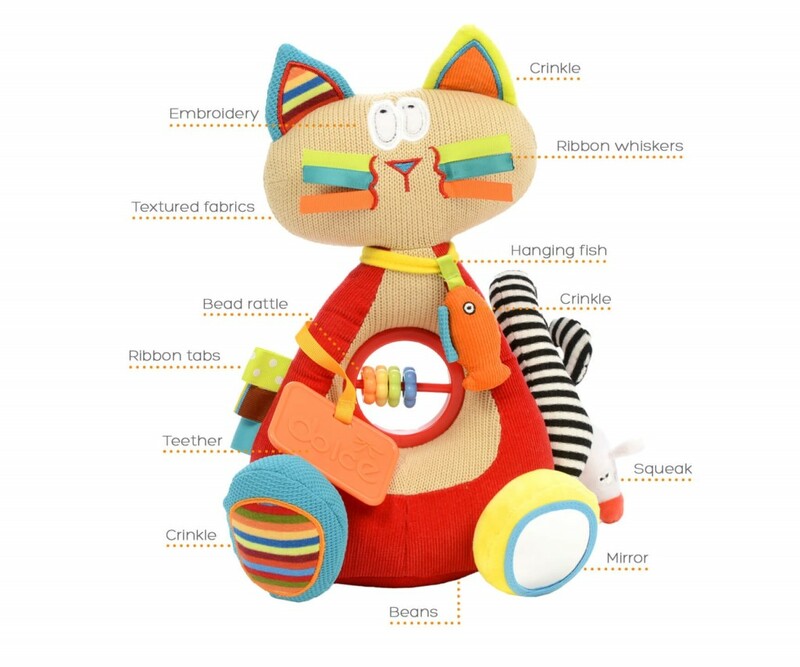 • Touch: The different textures and crinkles are extremely satisfying for children to play with. 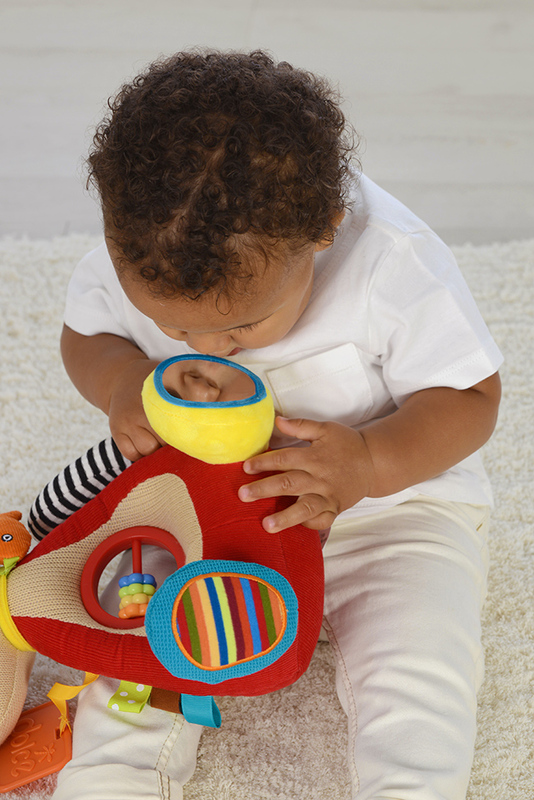 • Helps to connect motor skills with auditory learning by squeaks, crinkles and beads and rattling. • Numeracy: Counting beads on the stomach can be used as an early introduction to counting.